How Can I Use Jira to Maintain Velocity and Improve Agile Planning? Can I create customized boards in Jira? Is there an easy way to plan Scrum Sprints or Kanban To-do lists? How can I visualize my issues in Jira? What can I do to speed up Sprint Planning? How do I balance all of my team's priorities? Whether they use Scrum or Kanban, users want be able to fuel their Agile collaboration with tools that will power them to work quickly and efficiently. Jira offers much of this capability, but with the addition of one or two apps it can become truly an Agile development powerhouse. Comalatech has developed two adds-on that directly address the questions raised above. 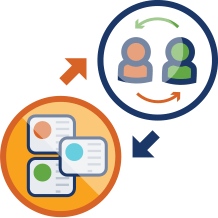 Comala Canvas for Jira and Comala Agile Ranking both utilize data visualization to make planning easier, and to simplify the management of your issues. 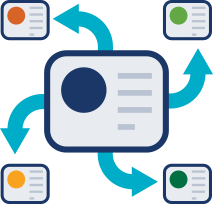 Canvas for Jira lets you create customized boards, and to work with your issues as easy-to-use cards on those boards. Comala Agile Ranking is also cards-focused, but in its case it lets you work with cards to definitively rank your issues, in order to determine which ones need immediate attention. Both apps extend Jira to provide you visual information you can use to support your Agile development. Want to see both products in action? Book a webinar with our team today to see how our apps can improve your Jira experience.